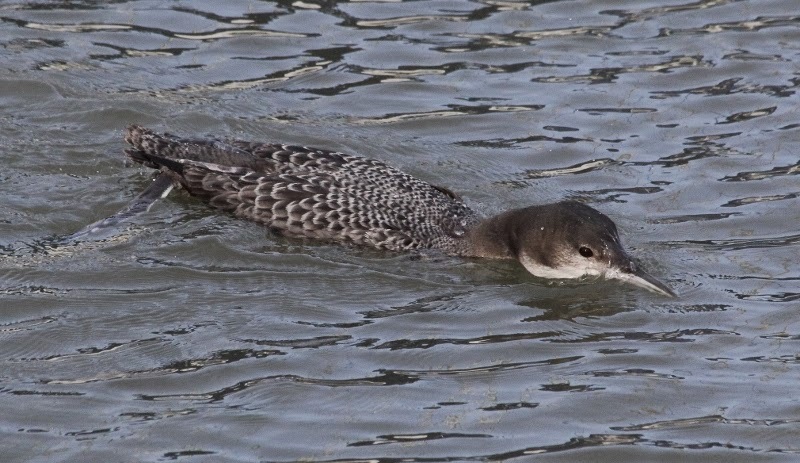 The Great Northern Diver was still preforming well in the Harbour, 12 Purple Sandpiper were also there. 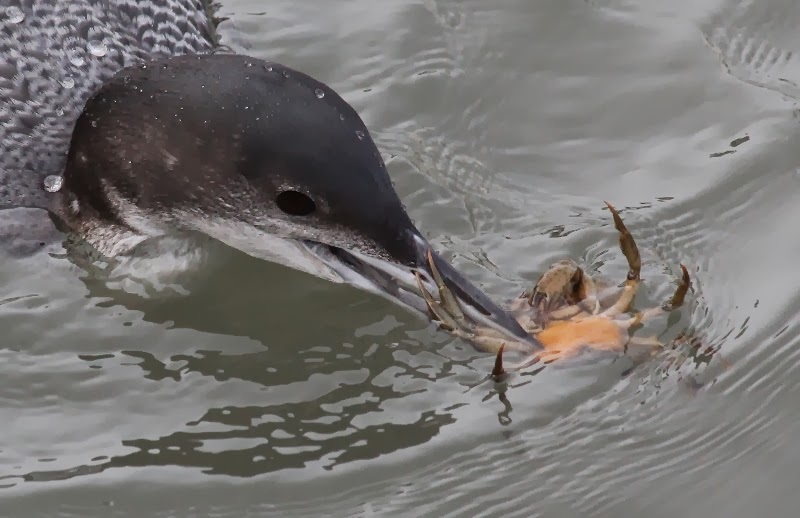 In South Bay there was a Great Crested Grebe and 80 Black-headed Gull, 1 Great Black-backed Gull and 1950 Herring Gull roosted there, 1 Red-throated Diver, 7 Shag and 2 Guillemot were off Marine Drive and 2 Shag, 2 Cormorant and 2 Guillemot were in North Bay and 6 Cormorant, 582 Wigeon, 10 Oystercatcher, 1 Ringed Plover, 75+ Black-headed Gull, 1 Common Gull, 450+ Herring Gull and 40+ Great Black-backed Gull were at Scalby Mills. Singles of Gadwall, Goosander, Buzzard and Kingfisher were seen at the Mere, 78 Teal, 4 Tufted Duck and 15 Moorhen were on Johnson's Marsh and a Goshawk was seen at Ravenscar. On the move south were 2 Red-throated Diver, 1 Shag, 3 Cormorant, 3 Goldeneye and 2 Skylark.